« Space Force or Space farce?!! In this episode of the Fuzion Win Happy podcast, Greg chats with Ireland’s Best Young Entrepreneur 2018, Conor O’Loughlin, CEO and Founder of Glofox, who shares his story of huge disappointment with an injury, which finished his rugby career with Connacht at the age of 28 to a new career in computer software. Realising that his rugby career and dream was over, he started a web development company where through his client work he discovered an untapped niche in bespoke software solutions for the gym and fitness sector. 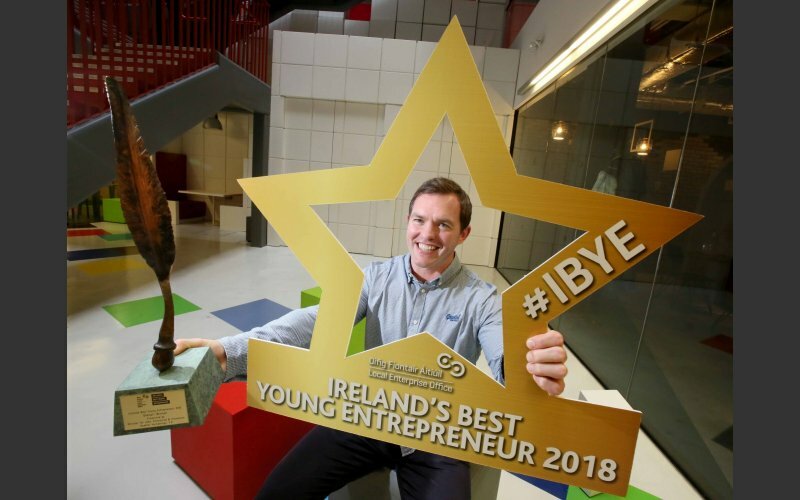 With the help of a Competitive Startup Fund from Enterprise Ireland he managed to start developing a bespoke solution and later accessed further funding as part of the High Potential Startup Fund. This business has expanded globally from Ireland thanks to the hard work and focus of Conor and his team and the careful navigation of the complex world of funding with Enterprise Ireland, Angel Investors and VCs. Despite the huge demand for IT talent in Ireland and in Dublin, Glofox have managed to continue to attract great people to their team who are enjoying the excitement of being part of a place where they can make a real difference. We hope you enjoy Conor’s and the Glofox fascinating story! This entry was posted on September 25, 2018 at 10:30 am and is filed under Creativity, ECommerce, Motivation, Niche Marketing, Podcasts, Positivity, Sports. You can follow any responses to this entry through the RSS 2.0 feed. You can leave a response, or trackback from your own site.